Medical coders need to follow the coding guidelines and any instructions from third-party payers. This includes understanding Medicare and its different parts. Providers are usually reimbursed by third-party payers in support of the individuals that the entity insures. The two main types of payers are commercial and government plans. Commercial insurance plans, such as HMOs, are private, whereas government insurance plans, such as Medicare and Medicaid, are public. Medicare is the largest third-party payer and is provided by the federal government. Medicare is broken down into different parts based on what each part covers. It is important that medical coders know which insurance plans accept which codes and which government and payer regulations they need to follow. All persons covered under Medicare are called beneficiaries. 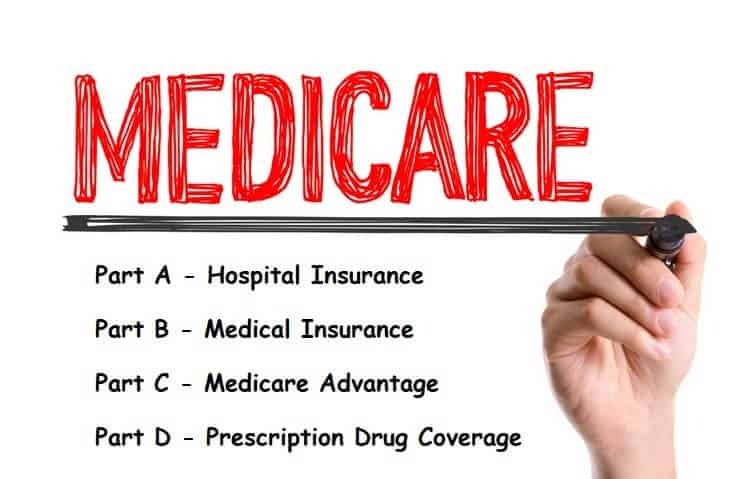 Original Medicare is made up of Parts A and B. 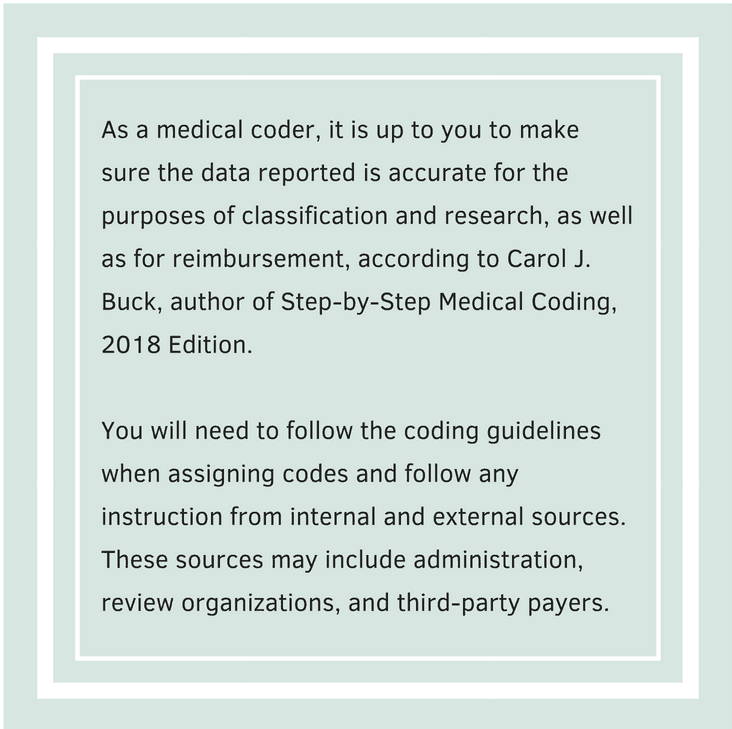 Part A services are reported by hospitals using diagnosis codes and procedure codes that together determine Medical Severity-Diagnosis Related Groups (MS-DRG) assignment, according to Carol J. Buck in Step-by-Step Medical Coding, 2018 Edition. Part A covers hospital care, skilled nursing facility care, some home health, and hospice services. Beneficiaries who are eligible for Medicare benefits are automatically eligible for Part A hospital insurance. The home health care agency typically coordinates the services based on the physician’s orders. Home health care services must be medically necessary in order to be covered. Part B services are reported using diagnosis codes, CPT codes for the service or procedure, and HCPCS codes (Level II codes) for additional supplies and services. Beneficiaries are not automatically provided Part B coverage when they become eligible for Medicare. They have to purchase the benefits by paying a monthly premium. Medicare Part C is otherwise known as Medicare Advantage (formerly Medicare+Choice). Original Medicare still covers hospice care, some new Medicare benefits, and some costs related to clinical research studies. Medicare approves private insurers to manage the plans, and Medicare beneficiaries have the option to choose a health care provider from the list. There is usually a monthly premium for the MA Plan. Copayments, coinsurance, and deductibles can vary based on the plan. According to Medicare.gov, Part D covers prescription drug coverage. All Medicare beneficiaries are able to enroll in Part D, prescription drug plan. Drug coverage is provided by private companies who have been approved by Medicare. The cost for each plan and the drugs that are covered can vary. By understanding Medicare and its different parts, medical coders are better able to do their jobs and remain compliant in their coding. What is ICD-10-CM, ICD-10-PCS, CPT, and HCPCS?